Mint versus Win XP. Will Mint run on an old machine? 512 MB RAM (1GB recommended for comfortable usage). 5 GB of disk space (20GB recommended). 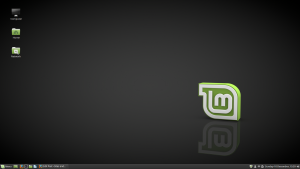 In this test, I have downloaded the Linux Mint 18.2 Cinnamon 32 bit edition. The above fits the bill admirably. It has just above the minimum amount of RAM and plenty of HDD space. It will display at 1024 X 768, but by today’s standards is under-powered. At first glance, the Mint interface doesn’t look much different to any of the pre-Vista editions of Windows. It has a task bar across the bottom with a menu button in the bottom left. On the bottom right, there is the clock and the system tray. It’s altogether possible that the terms I have just used are copyright Microsoft, so doubtlessly there are probably alternative terms for these. Anyway, whatever; they’re there. The Windows key (which really ought to be called the Menu key as it’s not the only OS on the market) operates the menu just as it does in all Windows releases that have that logo’d button included in the interface. However, it doesn’t end there for Mint or any of the other Linux OS packages. Software repositories give the user a large library of customisations, that you can either install and keep, or uninstall at the click of a button (and possibly a password entry). This makes it better than Windows as, if your old machine lacks HDD space, you don’t have to retain anything unnecessary. Compared to how Unix used to look, even Lynx OS (the last version of Unix I worked with professionally), Mint has stood up to Windows and actually has something that’s not only equal to it, but I think, better. More to the point, despite being based on the Unix OS, you don’t have to know loads of command-line spells, rituals or be able to speak in tongues to do anything with your computer. However, if that’s the way you want to do it, you can. The first thing I noticed is Windows may appear ready, but isn’t. Windows XP, as well as other versions, produce a desktop that’s virtually unusable until all the processes that occur in the background are started. To me this is a real annoyance. Starting your car and having the engine running, generally means it’s ready to go. Imagine pulling away and a couple of hundred metres down the road, someone steps out in front of you. You stand on the brakes, that’s what! Of course, start-up times are rarely a matter of life and death, despite what your teenage offspring may tell you. However, Windows start-up times feel inordinately long and in XP, that can be a matter of minutes after the desktop has been displayed. The “Bingly-Beep”, when Mint starts, actually means it’s ready to go. Now this machine is not only old, but under-equipped in the hardware department. This makes it the perfect machine to test the claims of the Mint team. 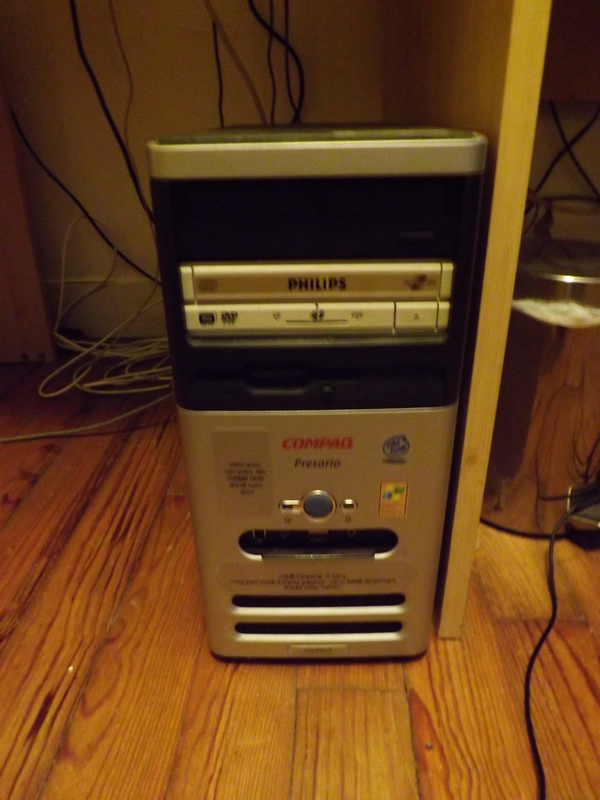 The Compaq ran painfully slowly in XP, taking nearly two minutes to power down. Some of that can be attributed to the lack on-board resources etc, but it just doesn’t happen in Mint. I am not going to try and suggest that you can take a clapped-out old box like mine and make it fly, but it is substantially quicker than it was and in my opinion is now punching well above its weight compared to the same machine under XP. Starting applications from word processors to graphics programmes was much quicker in Mint too. Before I made the change, trying to do anything in XP involved a lot of waiting. I found that trying to do anything under XP – having had a newer and more up-to-date machine for as long as I have, made me begin to lose the will to live. It reminded me of the old 80286 machines we had at college, where compiling a simple “Hello World” DOS program in ADA, involved a wait period long enough to sustain getting a coffee and smoking a cigarette. XP had begun feeling the same. I think the thing that the majority of people are going to be interested in is not so much how fast the machine is, but the fact that it no longer runs Microsoft programmes. That’s not true, although I haven’t actually tried the program that allows Mint to run Windows programs (Wine), or how well they do under a non-native OS such as Linux. Nevertheless, there are plenty of applications out there to do pretty much anything you want to do on your machine. For instance, Gimp will do almost as much as Photoshop and Open Office or LibreOffice will do almost what MS Office will do. 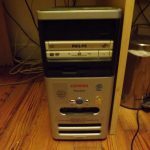 There are any number of media players, disc authoring tools and so much more that really, if you want to use an older PC to do what you currently do on a new one, it’s not impossible. Of course, we all know that some things will take longer than they would on a multi-core, faster-than-lightning PC, but it all depends on what it is you want to do. Being under-resourced meant that some of the flash animated games would not run. Well, they ran, but couldn’t keep up with the processing necessary to make them run smoothly and at the speed necessary to play the game. To elevate this machine to the standard necessary to do this would probably cost about 50€, if you can get the parts second-hand, which isn’t a lot. I set out to find out whether this system would run on an old machine and the answer is a resounding, “YES”. Even though this machine is lacking in so many areas, it is still usable. With a machine with sensible resources, I would imagine there’s far more that comes to light where Mint outstrips Windows, but those tests will have to wait until I get to install it on the Notebook. If the way things have run on this extremely low-spec machine is anything to go by, I don’t foresee me being reticent in installing on the real target machine, the ASUS notebook. Really, if you just want simple, uncomplicated tasks performed by your (very) out of date PC, this is definitely the ticket.